The Philippines will no longer accept multimillion dollar grants from the European Union, as the bloc allegedly uses the funding for the purpose of interfering in the country’s internal affairs, Philippine presidential spokesman Ernesto Abella said Thursday. Philippine leader Rodrigo Duterte said through his spokesman that he is open to joint drills with Russia. The Philippine police have enhanced security measures on Cebu Island amid warning of possible kidnappings. 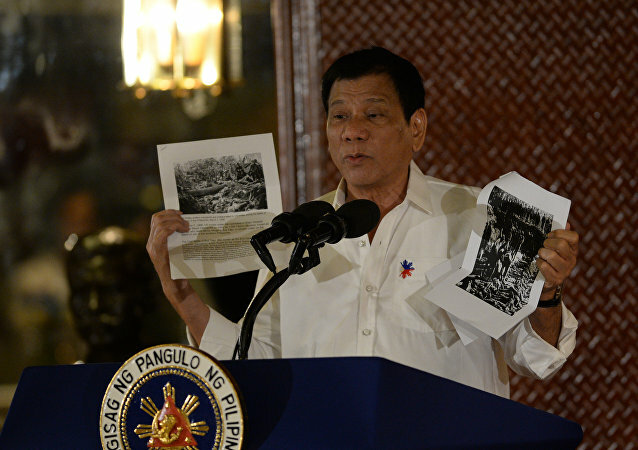 The Philippines controversial leader Rodrigo Duterte caused a stir by calling for the death of three million drug addicts and likening himself to Hitler – his spokesman "clarified" the Hitler part, but not the call for mass killings.